Former boxing opponent Floyd Mayweather Jr. says that UFC mega-star Conor McGregor is a "knock-off" version of himself. Floyd Mayweather believes Conor McGregor is a “knock-off” version of himself. “Money” participated in a “Cold As Balls All-Stars” video alongside comedian/actor Kevin Hart. 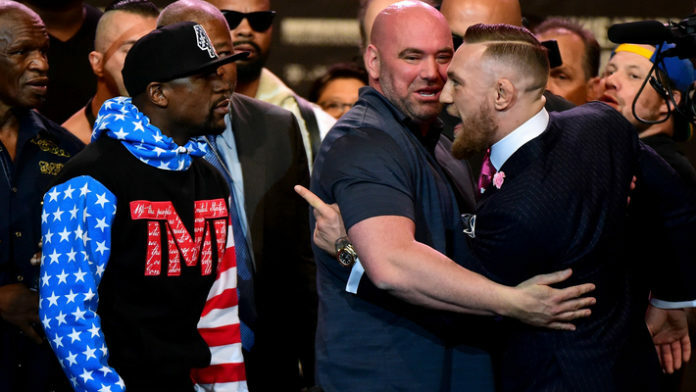 During the video, Hart and Mayweather discussed “Money’s” last boxing opponent, UFC mega-star Conor McGregor. Mayweather bested McGregor inside the squared circle back in 2017. What do you think about Mayweather calling McGregor a “knock-off” of himself?